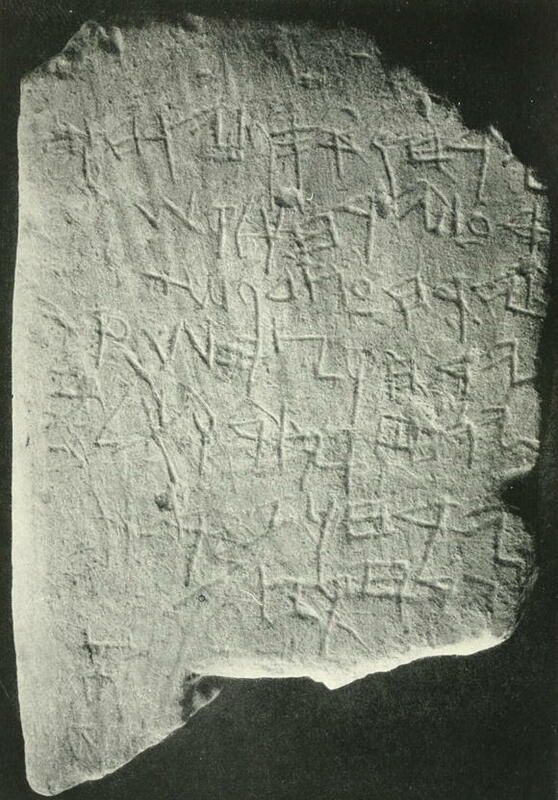 A proto-Hebrew calendar from Gezer, dating potentially from the tenth century BCE. There is a very interesting article in the latest Biblical Archaeology Review about the evolution of the Hebrew language and its treatment as a holy language. On its most general level, How Hebrew Became a Holy Language by Jan Joosten is a nice summary of how languages evolve, which can be very useful if your adventurers delve into ancient ruins with ancient inscriptions, or, Tarzan-like, meet up with ancient lost civilizations. Subtle changes in the meaning of words and subtle changes in the use of grammatical constructions altered [Hebrew’s] nature… A phenomenon that illustrates this evolution can be found when words with a general meaning came to be used exclusively to designate specific religious items or concepts. For example, take the Hebrew word torah. In most of the Biblical books, torah simply means “teaching,” or “direction.” In the late books of the Bible, however, torah takes on a different meaning. It now refers to the book in which Jewish law is written down. This is an obvious way of laying down red herrings or wild goose chases for the player characters to follow. Interestingly, a similar process happened to the word “bible”. The term (as biblia) originally meant any collection of scrolls and later books; the term biblia sacra meant “holy books” and was brought into French as just “Bible” from whence it was brought to English. But nowadays, “bible” can also mean any authoritative work. That might be an interesting evolution for any sacred object in your game. A non-player character tradesman might well describe an extremely-well-made tool as the excalibur of their profession. The Book of Ezekiel contains dozens of loanwords from Babylonian; Exilic and post-Exilic books of the Bible evidence a high proportion of Aramaic loanwords. The latest Biblical books attest around 20 words borrowed from Persian. A nice example is the Hebrew word yomam, which in classical Hebrew is an adverb, “by day,” but in Nehemiah 9:19 is used to mean “day-time.” The earlier meaning was forgotten, and the later meaning arose on the basis of a similar-sounding words in Aramaic. Something really interesting in the article, from a fantasy perspective, is that for centuries many people believed that Hebrew was the first language of mankind, the language used by Adam, Eve, and God in the Garden of Eden. The Bible certainly seems to imply a universal language before the Tower of Babel. The idea of a real mother tongue is controversial in modern linguistics, but it’s pure gold in fantasy. The Norse and other notion of true names implies a True Language in which those names exist. John Dee proposed a celestial speech, later called Enochian because Enoch was the last human to know it. In modern fantasy, Ursula K. Le Guin used the Old Speech in her Earthsea stories; it was the language used to create the world. Neal Stephenson used the idea in Snow Crash that there is a language uniquely attuned to the human mind and able to program it, much like computer languages are used to program computers. I used a similar idea for the tablets of Enki in The Road. The Tablets provide extra-special knowledge and skill in whatever their topic is (language, war, etc.) because they were gifted by the gods to the first City of Man, to teach mankind the great crafts of civilization. 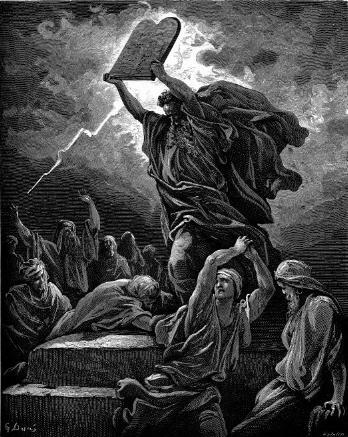 And of course, bringing it back full circle, the tablets of Enki are loosely based on the stories of Prometheus and Ishtar, but heavily based on Moses and the tablets of the law. It begins with a grass-covered path flanked by flowering trees. The red road is cracked and dusty. Strange creatures scurry from shadow to shadow in the hot sun. The blood-dimmed tide is loosed, corruption beckons, and death waits in the sere ground. But why think about that when all the golden land’s ahead of you and all kinds of unforeseen events wait lurking to surprise you and make you glad you're alive to see? One of the earlier cyberpunk-style novels, Snow Crash is pretty dated today. Stephenson’s future is a future of wired Internet, punk, and company towns mixed with a world-wide network that looks like the Internet of 1992. The book’s style is that of forties and fifties sci-fi, where industry leaders always have time for the down-and-out Protagonist. That said, if you enjoy technological satire and weaving ancient mythology into modern technology, you might still enjoy it. What it does do well is create a technological biology out of the mythology of language. The best parts of the book, at least for me, were when he was describing the history of his “computer” virus. Why is the world so fractured? Because we have lost the tablets of the City, the tablets of Enki. We are living in the tower of Babel. Prices, credit, and currencies. If you know the system, you could make a mint! The emperor Nero’s House of Gold sounds like the backstory of a great megadungeon right under the adventurers’ sandaled feet. The Yuma Territorial Prison looks like a great dungeon setting. It’s history provides inspirational ideas for more fantastic dungeons. What to do with real historical figures when fictionalizing history is a tough question. I ran into it several times with Helter Skelter. Organized combat-like tournaments are a great excuse for a celebration in fantasy-medieval worlds. Build a simple flashcard app for foreign phrases or whatever using photo albums and Pythonista. The First Language last modified February 7th, 2017.